You may have missed this last ladies’ night, but don’t worry. You don’t have to ever miss one again! Bree’s Blog on YouTubeand subscribe to get book hauls, reviews, and other features from me in your YouTube subscription feed! This entry was posted in Videos and tagged Feminism, Ladies' Night In, Rachel Pollack, Review, SFF, Surrealism, Temporary Agency, Video, YouTube. It’s the perfect season to pick up Of Sorrow and Such. Slatter’s newest novella, released by Tor.com Publishing taps into the classic witch story. Of Sorrow and Such airs more on the side of The Crucible than The Craft. The story follows Ms. Patience Gideon, an herbalist and healer in a small village. For the past decade her life has been quiet. The town tolerates her and her adoptive daughter, Gilly, is well-loved. While the townspeople suspect her of more dangerous goings-on than a healer might otherwise have, there’s no doctor in the town and Patience is needed. But, Patience has dark secrets, and her small family is about to be thrust into danger. The story’s best feature is its tone. It draws on classic witch stories for its atmosphere, and blends it with an updated sense of humor and subject. The story is clear: there’s a sinister aspect to the villagers Patience lives with, but that is due almost as much to their own hypocrisy and affect as it is to anything inherently evil or suspicious about Patience. Patience may be helping women with unwanted pregnancies and abusive husbands, but she’s far from the only person meddling in the affairs of the village and certainly not the most vindictive. The story sits at 104 pages, including cover, title, copyright, and author bio pages. It’s very short. The story itself only takes place over a few days, and the plot is paced fine. The problem I had is the background. Patience’s interactions with the villagers and the increased danger to her and Gilly lead to the reveal of some of Patience’s darkest secrets. The background of her secrets is a bit lacking and the reveals don’t really shed much light onto who Patience is or how she came to do some of the things she’s done. The bulk of the story creates a solid picture of who Patience is. She’s likeable, but tough and a bit jaded. The reveals could have added more, but the way they were executed left me wondering why so many were needed. The side characters, however, are perfectly timed and developed for the story. Their lives and personalities are well developed, understandable, and to the point. The twists in their behavior were lightly hinted at, but still impactful. The story examines complicated relationships between family members and neighbors. It asks who you can trust and then pushes its characters to their breaking points. The relationships Slatter examines are one of the true high-points of the novella. In particular, I enjoyed the relationship between Patience and Gilly, who, though they love each other, have very different ideas of what makes for a good life and what they want for their futures. Slatter’s story has witches, were-people, and necromancy. It pits neighbor against neighbor in desperate attempts to protect oneself. Overall, if you’re looking to get into a witchy mood for Halloween, Of Sorrows and Such is primed to help you out. Angela Slatter is the author of The Girl with No Hands and Other Tales, Sourdough and Other Stories, The Bitterwood Bible and Other Recountings, and Black-Winged Angels, as well as Midnight and Moonshine and The Female Factory (both with Lisa L. Hannett). 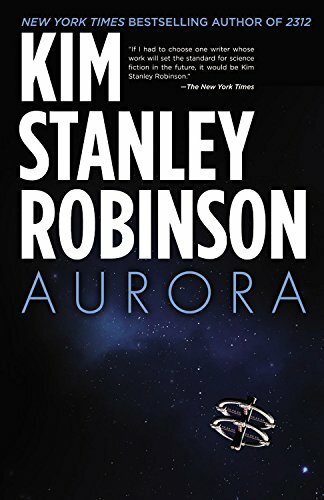 She has won five Aurealis Awards, one British Fantasy Award, been a finalist for the Norma K. Hemming Award, and a finalist the World Fantasy Award twice (for Sourdough and Bitterwood). Her novellas, Of Sorrow and Such (from Tor.com), and Ripper (in the Stephen Jones anthology Horrorology, from Jo Fletcher Books) will be released in October 2015. Angela’s urban fantasy novel, Vigil (based on the short story “Brisneyland by Night”), will be released by Jo Fletcher Books in 2016, and the sequel, Corpselight, in 2017. She is represented by Ian Drury of the literary agency Sheil Land. I received a copy of Of Sorrows and Such for free in exchange for an honest review. 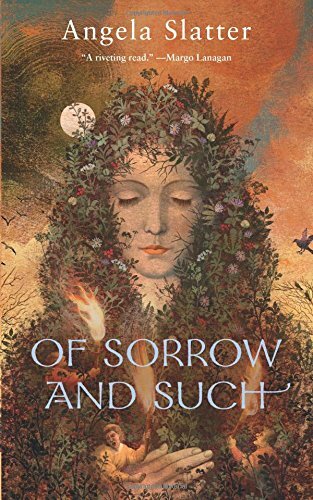 This entry was posted in Reviews and tagged angela slatter, Fantasy, Gilly, Novellas, of sorrows and such, Patience Gideon, Review, tor.com. Well, if you’re looking for a bit of a punch to the gut, I’ve found it for you. The Underground Girls of Kabul is a very good read. Using her journalistic experience and a well-informed, extremely well researched knowledge base, Nordberg constructs an image of Afghanistan that isn’t readily available to the average reader. The subject of The Underground Girls of Kabul is extremely interesting. Nordberg focuses in on the little-known phenomenon of young girls being raised as boys in Afghanistan. These girls, known as the bacha posh, aren’t often acknowledged by Afghan society. Nordberg noted them by accident, during an interview with a female politician in the Afghani parliament. When she went to gender studies experts in Afghanistan, no one had much to offer on the phenomenon. So, Nordberg undertook to discover more about who the bacha posh are, why they exist, and what the impact is on Afghani society. In The Underground Girls of Kabul, Nordberg uses a combination of extended interview, narrative forms, and analysis to create a picture of what it’s like to be a girl raised as a son in Afghanistan, and more difficult, describe what happens to the bacha posh when these girls raised as sons are forced back into the traditional family lifestyle and rigid gender roles of womanhood. The story is engaging in and of itself, and Nordberg adds to the interest by writing in a forthright and contemplative manner. She relates the stories of many women who were raised as bacha posh and talks about the difficulties of the transition back to traditional womanhood, and shows the sometimes very tangible benefits of time spent as a son. I really enjoyed reading this book. It’s the kind of book I find very appealing, and Nordberg doesn’t shy away from the complicated discussion of gender identity and rights that the subject matter invites. The bacha posh introduce a fascinating situation that lends itself to discussion of nature v. nurture, whether gender truly is a learned aspect, and if the international aid community is really achieving what it has set out to do in Afghanistan. The story is approached in a first person narrative focusing around Nordberg’s experiences interviewing women who had been raised by sons. The tales she relays range the gambit from young girls only now being raised as sons to teens about to have to transition back to the role of daughter, to women who have and have not accepted the transition. It’s emotionally insightful. While there is a lot of analysis going on, and a lot of interesting and informative sidebar discussions in the book, the women’s stories are the strongest point. Their personal lives are the true hook in the story. Nordberg runs a careful line of contextualization and over-explanation. Fortunately, there were only a few times where she ventures into too much explanation. When it does cross that line however, the analysis isn’t quite to the break down level I’d like. The case studies could have benefited from more depth in the analysis. Nordberg uses the cases as evidence for statements about the Afghan culture without always making the inferences in her argument clear. I’m a fan of challenging one’s assumptions in the course of creating an argument and sometimes I thought Nordberg could have done more to truly support what she was saying. The argument is also straight forward without much allowance for conflicting explanations or confounding variables. The journalistic sense in the book, however, is excellent, with lots of background research and a very thorough attempt to detail her subjects’ lives. It’s also very emotionally impactful. Overall, I think it’s a good introduction to gender identity and societal influences, but may lead those with a stronger social science background wanting more. *I received a copy of this book for free in exchange for an honest review. This entry was posted in Reviews and tagged Afghanistan, bacha posh, Foreign Aid, Islam, Jenny Nordberg, journalism, nonfiction, Women.